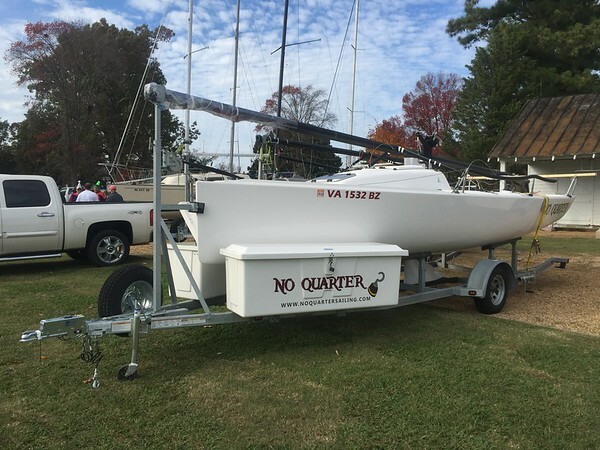 It was a very, very light air day for the final day of the Fall Series at Fishing Bay Yacht Club and the final day of sailing for 2015 for J/70 No Quarter. John, Andrew and Dave were aboard for a race that started in light air and over 2 hours later nobody was going to finish, so we ended up bagging it and call it a day. With only 2-3 knots of wind and 1-2 knots of current coming right at us, we just couldn’t make the boat go at times. Back on shore we dropped the mast and prepared the boat to go into the barn for the winter.